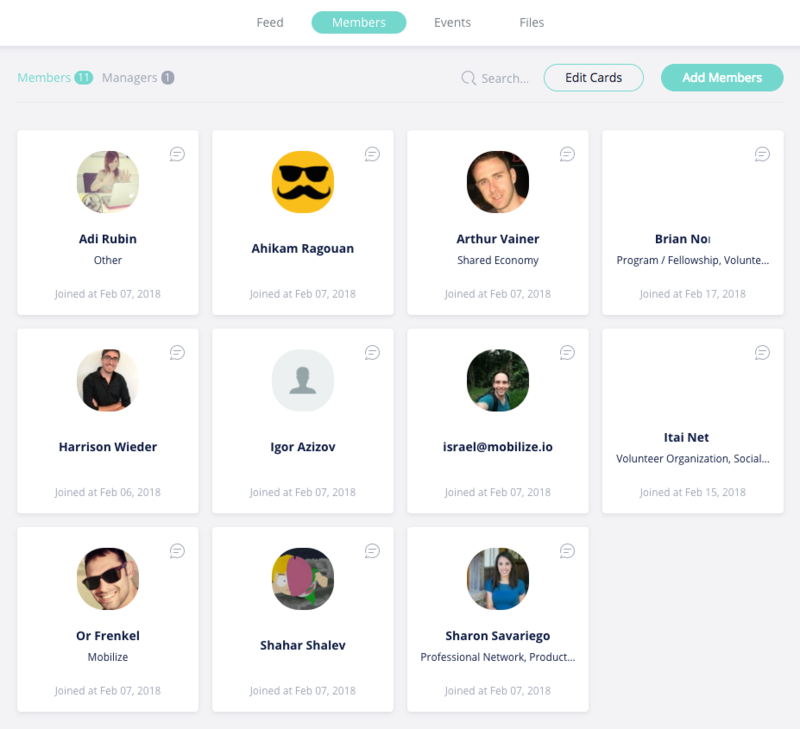 Increase networking and make it easier for your members to get to know one another by highlighting their info on their profile cards in the members section. 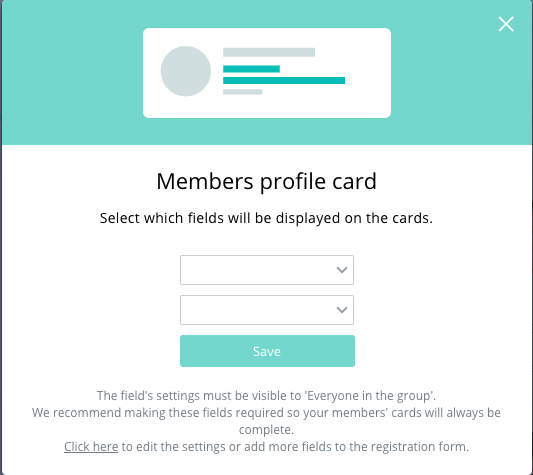 You can control the fields that show in the member cards by editing them. Each square that hold a profile is a member card. You can see that there is a space for 2 fields under each member's name. 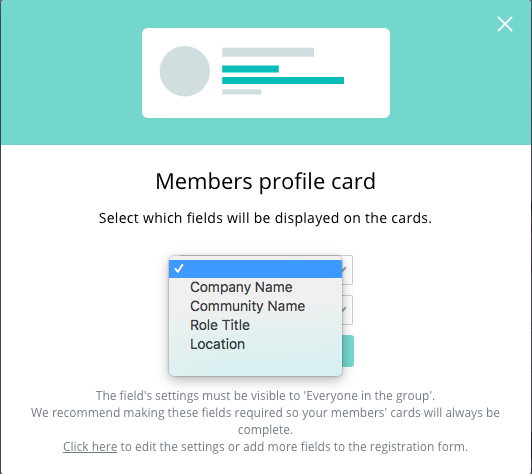 And choose the fields you'd like to be shown under the member's name. The fields are taken directly from your registration form. The fields that are available for you to use are those that you defined as public - visible to everyone, in the registration form.